Gran Turismo 5 Gets A...Reality TV Show? So, there's a reason the trailer for the US version of the Gran Turismo Academy looked so slick: the inaugural American leg of the competition is being turned into a reality television series. Are You Good Enough At Gran Turismo To Race A Real Car? 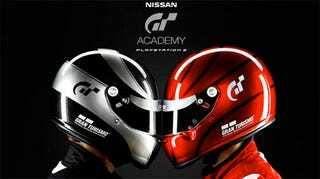 The Academy has been running in PAL territories for a while now, giving the best Gran Turismo 5 drivers the chance to earn a spot on a real racing team. Being the first time the event will be held for Americans, though, means it must naturally be bigger. Starting in March, film crews will track the progress of the finalists in the competition, with a series of shows to be broadcast on the Speed Network later next year. If you're wondering where the money has come from to warrant this becoming a television series, it will serve as a giant advertisement for not only the game and PlayStation 3, but long-time Gran Turismo commercial partners Nissan as well, who will be supplying all the vehicles used in the show.